Thank You for accepting an interview for my fishing blog www.fishinginprague.com Could You please say a few words about yourself and company? M.M. : We are from Serbia. 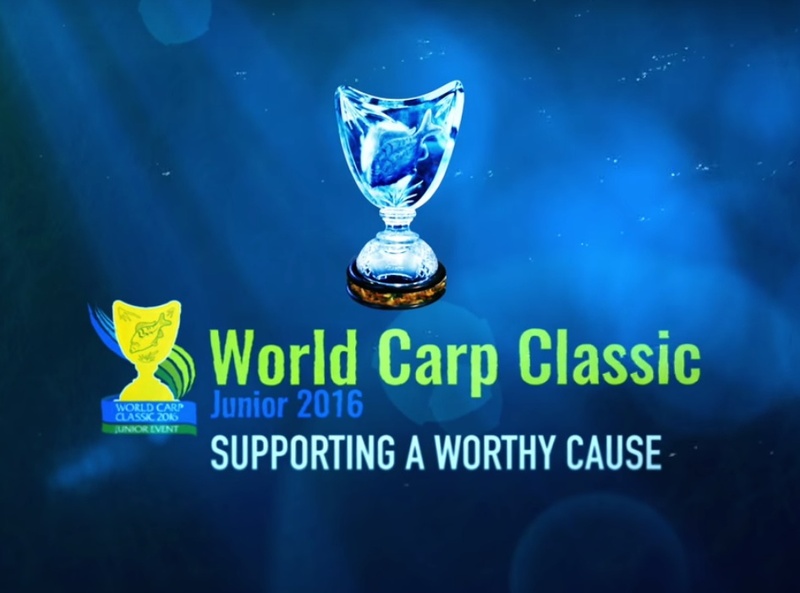 My father Dragoslav is into fly fishing for 35 years and fly tying for 25 years. 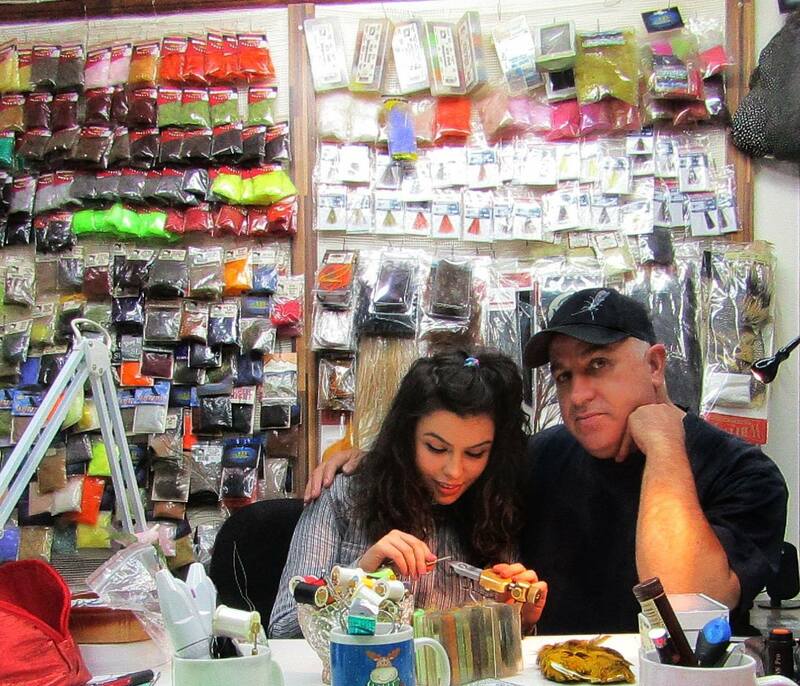 At the beginning it was just a hobby for him, but after 5 years he decided to make some money from tying flies. So, the Gaga Flies company was established in year 2011. As for me I am engaged in flyfishing and flytying for 3 years, helping with this work to my father with my sense for creativity. After 500,000 flies Gaga Flies company had made, we still work hard, devoted to making new creative patterns, helping people to learn more about fly tying and raise both fly fishing and fly tying on higher levels. 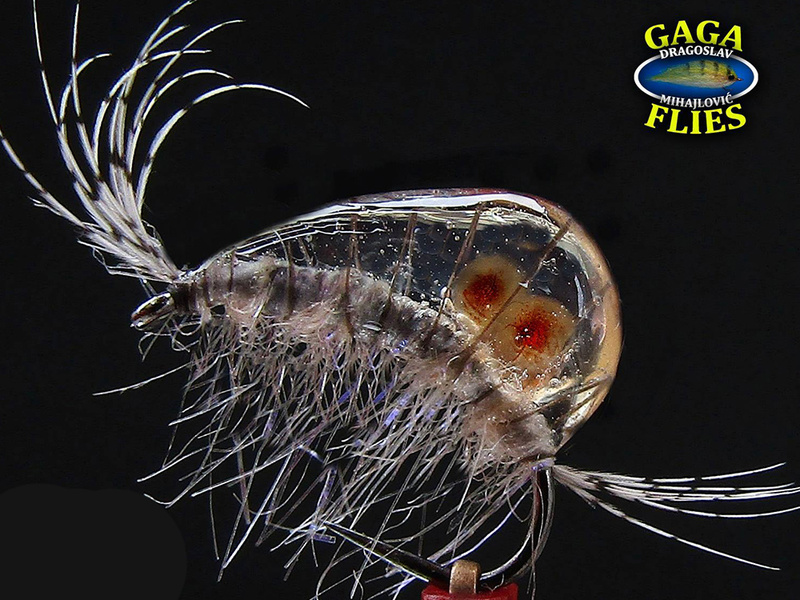 You do a great job, because new fly patterns are always considering to be “the best”, especially those with unusual materials as for example Your transparent gammarus imitations. What do You base Your unique fly tying style on? M.M. 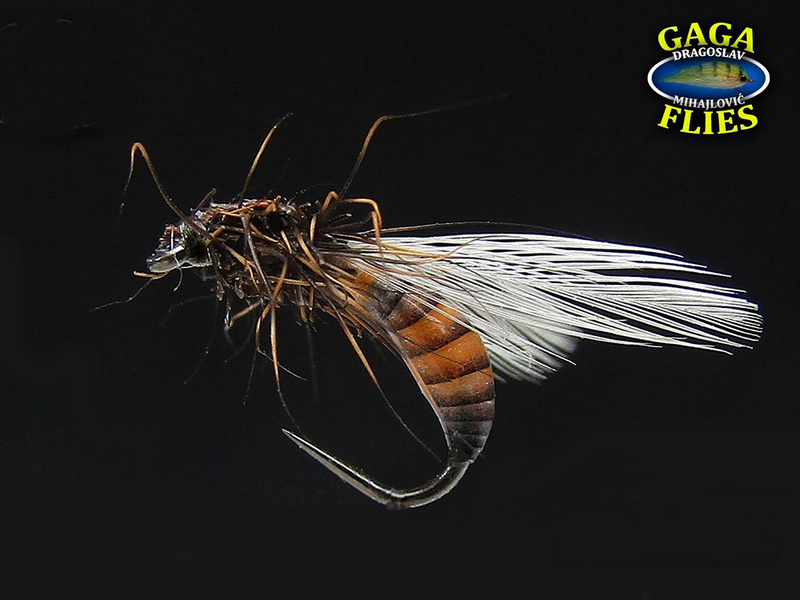 : First thing we keep in mind when trying new fly patterns is their look, which has to be very similar to a real insect. Unique style is usually developed with respect to correct proportions and colors as far as tying materials, which should act well in the water. Also we pay a high attention on such an important thing as transparency: for the best effect of the silhouette in water column or on the surface. Tell me please a story of Your company’s name. Why Gaga flies? M.M. 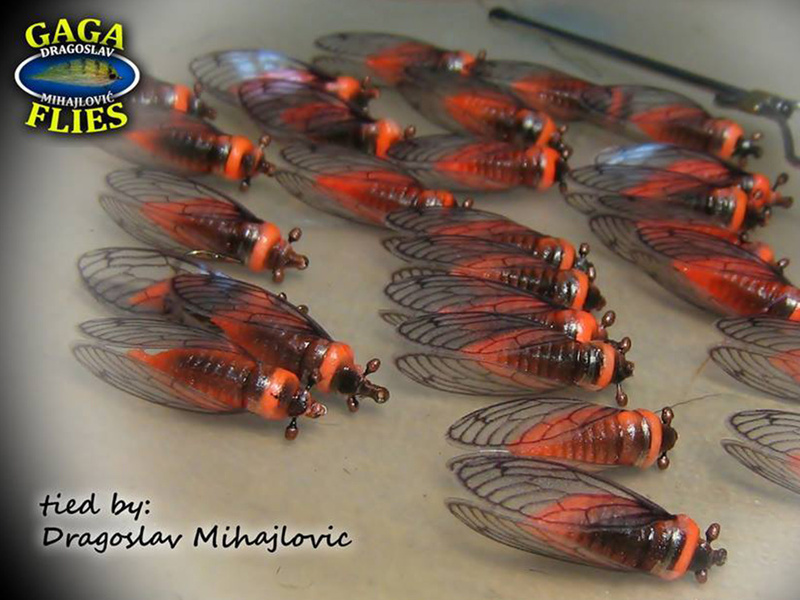 : In most cases the nickname for serbian name Dragoslav is Gaga, so that’s why the name of the company is Gaga Flies. But it also sounds like crazy flies – crazy good flies! Some fly patterns are not easy to tie. I remember when I’ve started fly tying it took for me almost one hour for one dry caddis imitation. You’ve mentioned a huge number of flies You’ve made – 500.000 pc! Could You tell me how is Your fly tying business set? M.M. : Yes, as You say, the total number of flies we made is above 500.000 pieces, and I can say without doubts, that during the last 25 years my father made by his own hands over 200.000 flies! However we get also the some help from professional fly tyers who cooperate with our company – so that is the way how our business is set. Our clients are from all over the world! America, Scandinavia (Norway, Sweden), New Zealand, Spain, Italy! They usually order mix of flies – nymphs, gammarus, buzzers and dry flies. 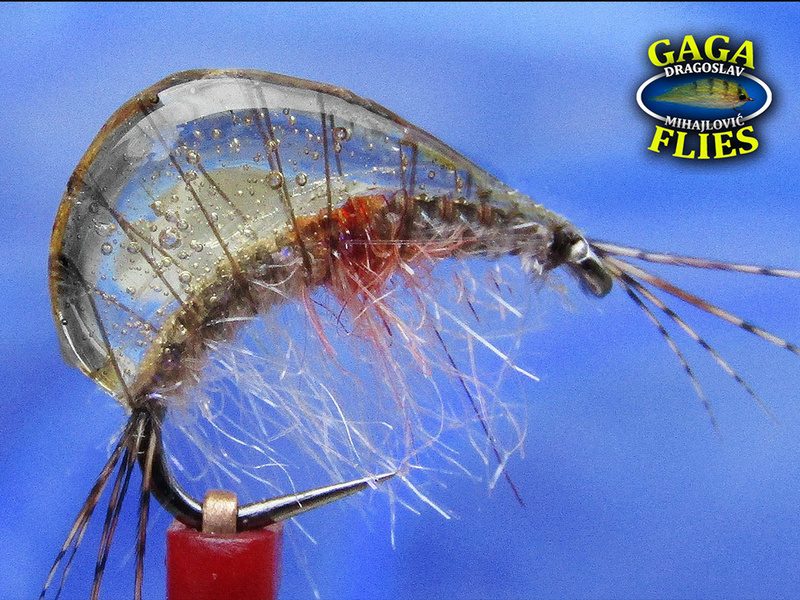 But recently the gammarus immitation became the most popular pattern. As for fishing: all flies should be definitely “approved” by anglers and fish on the water. Do You fish with Your father too or just provide new fly patterns for some pro-anglers and guides? M.M. : I’m in flyfishing a little more over one year and in flytying for 3 years. But I really enjoy both in the same way, because the passion for fly fishing and fly tying can’t be divided into different categories! What could You recommend for fly tying beginners (vise, materials, patterns), which just make their first steps in fly tying? M.M. : Our recommendation is to use from the beginning materials from well-known fly tying suppliers and brands only. In this case You will be protected from wasting money with poor quality materials! For instance try fly tying with world famous patterns like Adams fly, Royal Wolf, Stimulators, Prince nymph, Hare’s ear, Copper John, Pheasant Tail etc. – in that way you can get a sense for proportions and color, and besides those patterns are really easy to tie and available in every catalogue. The vise should be rotated. Also follow the very important rule: Less is more (don’t exaggerate the quantity of materials used!). You dont need a bunch of materials for something in order to make it look good. Just right materials in right proportions! Thank You for interview, Milijana! 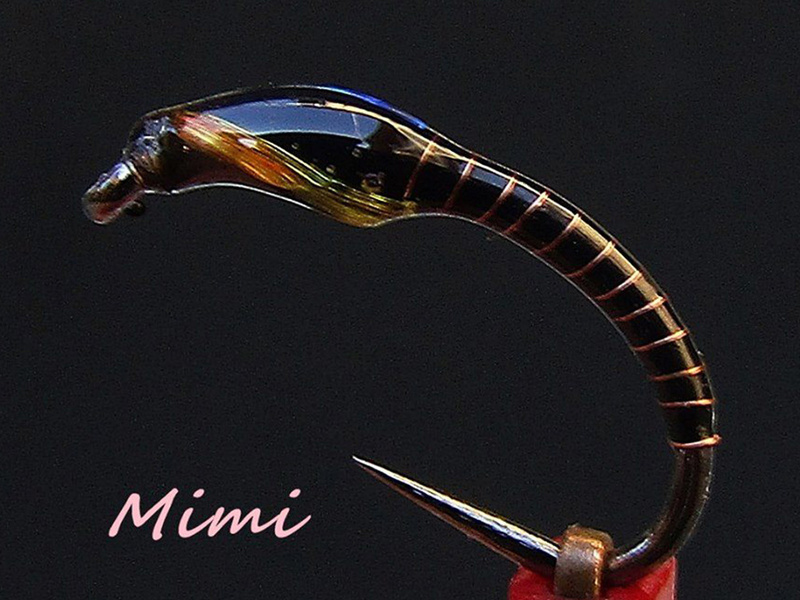 Looking forward to try some of Your flies on czech waters!